Aminata's mornings are very busy! She takes a taxi brousse (colorful bus) from her village all the way to school, and there are lots of stops along the way. Readers of this captivating book will follow Aminata as she travels across Senegal's breathtaking landscape. They'll pass by vibrant villages, nature reserves, and bustling markets. 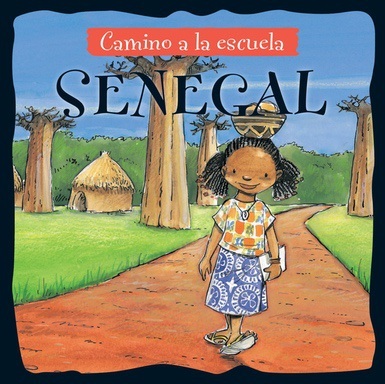 They'll also learn about the food, music, games, clothing, language, religion, and history of Senegal along the way. Gorgeous illustrations transport readers to this vivid, awe-inspiring country. A beautiful exploration of Senegalese culture, this delightful story is sure to captivate even reluctant readers.